← Do we really need Valentine’s Day? I am repenting because I have been too busy to post anything in three weeks. I will try to be more diligent in the future. 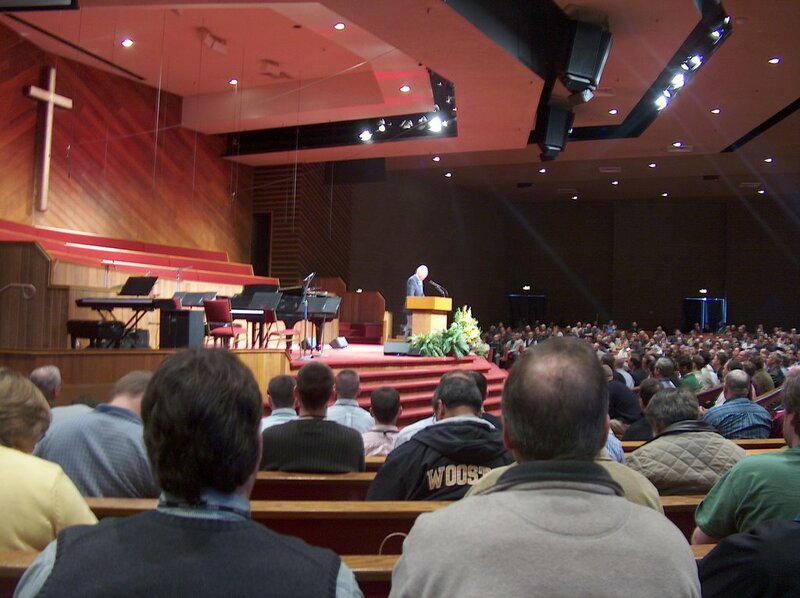 I had a wonderful time of encouragement and edification at the Men’s shepherd’s Conference last week. It was like living a dream. I conveyed to my traveling companions my first experience with John MacArthur and I will do it here. My lovely wife had signed us up for his tape library in the early nineties and I remember listening to my first tape while mowing the grass in our home in Florida and thinking, I wonder if I will ever have the opportunity to go to MacArthur’s church someday. First of all he will tell that it is the Lord’s church and not his, but being there, and hearing so many mighty men of God speaking and encouraging us and each other was incredible. I will not forget it. I am already putting together a plan to save for next year’s conference. We were at the conference for over eight hours each day. I have learned so much that I really should put my experiences down in text. We will be receiving the audio from all the sessions on one CD, so I will be able to commit the lessons learned to memory. I think my favorite session was the general session with Steve Lawson on “Bring The Book” about Ezra opening scripture to the remnant of Israel after captivity. It was an encouraging sermon about being diligent to preach the Word of God. To “bring the book” to the people and not be ashamed to teach and preach the truths written in the Word of God. A close second would be MacArthur’s sermon on Luke 15 and the parable of the man with two sons, more popularly known as the prodigal Son. At the ending he got us to consider the elder son as an example of the way the Jews treated their heavenly Father and His Son when he showed love for the sinners and not just the priviledged Jews. John MacArthur imagined an ending to the story and painted a vivid description of the elder son taking a piece of wood (like the cross) and beating the father to death in anger. Similar to what the Jews did to Christ in having him crucified on a cross. You can click on the picture above to see some pictures I took while in California.